Japan is covered in a rail network that reaches to almost every corner of the archipelago. Most are owned and run by the Japan Railway (JR) system and the world famous "Shinkansen" bullet train is of course one of the fastest and most enjoyable forms of land transport anywhere ? the distance between Tokyo and Osaka being covered in just 2 hours 30 minutes on the fastest line. Japanese taxis can be found at the exit to every train station in the country or alternatively hailed on the streets. The red sign visible through the windshield of the car: "空車" (kusha) means it is vacant and available for hire but when the sign reads "賃走" (chinso), it is unavailable. The back door on the left side will open and close automatically so be careful not to stand too close! (All the other doors are operated manually) Rates vary depending on the taxi company but usually start at a fixed rate of 730 yen (in Tokyo) for the first two kilometers. The rate system is shown inside the taxi and receipts can be issued. In urban areas, you can usually pay by credit card for a taxi. If credit cards are accepted, a taxi has a sticker showing this on the window. 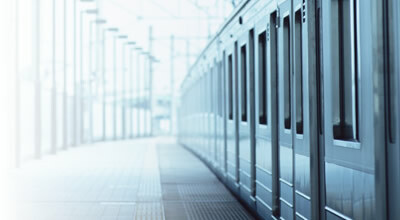 In big cities, such as Tokyo and Osaka, the under and over ground train system is well organized and highly efficient accessing any and all parts of the cities. To avoid wasting time lining up for tickets and working out how to use the machines in different stations, it is highly recommended to purchase pre-paid cards. If planning to stay in Japan for a longer period why not try using IC cards? (500 yen deposit returned when returning the card) Simply touch the card on a rectangular pad beside the ticket gate and the fare used is automatically deducted from the value of the card. In Tokyo the cards are known as Suica or PASMO and are accepted on JR lines, subways and most other railways and buses. Tokyo One-Day Free Ticket (Tokyo Furii Kippu)（東京フリーきっぷ）is available for use on JR lines (inside Tokyo's 23 cities), subways, and the Toei Bus service for one whole day ? ending at midnight ? at a charge of 1,590 yen. Tokyo Subway Ticket is available for use on Tokyo Metro and Toei Metro subway lines. Prices for adults are 800 yen (1 day), 1,200 yen (2 days), and 1,500 yen (3 days). JR Kanto Area Pass is to be upgraded to JR TOKYO Wide Pass from December 19, 2015. The new pass is valid for three days and good for unlimited rides using reserved seats on ordinary cars on Shinkansen and express trains in the Kanto area. The service is now extended to Echigo-Yuzawa Station and GALA Yuzawa Station. Prices are 10,000 yen (Adults), and 5,000 yen (Children). In the Kansai (Osaka) area ICOCA or PiTaPa is available IC cards similar to Suica / PASMO. Kansai Area Pass is valid for unlimited travel using ordinary non-reserved seats of JR-WEST local and rapid trains in the defined "Free Area." Prices for adults are 2,300 yen (1-day), 4,500 yen (2-days), 5,500 yen (3-days), and 6,500 yen (4-days) when purchasing in Japan. When purchasing in other countries, prices are 2,200 yen (1-day), 4,300 yen (2-days), 5,300 yen (3-days), and 6,300 yen (4-days). Kansai Thru Pass (スルッと関西) offers a similar service to the Tokyo Furii Kippu in Kansai and enables subway, railway (bar JR lines), and bus use throughout the Kansai area. Prices for adults are 4,000 yen (2 days) and 5,200 yen (3 days). You can cash traveler's checks at many banks. Traveler's checks can also be used at hotels, ryokan Japanese style hotels, and shops in big cities. Credit cards can be widely used in urban areas, but sometimes are not accepted at shops in rural areas. 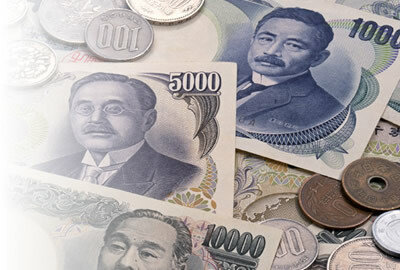 Exchanging non-Japanese currency for yen can be carried out at international airports, and most major banks. At the airports exchanging Japanese yen into foreign currency is also possible. At "World Currency Shop," even after banks close their doors it is possible to exchange later in the day. You can withdraw Japanese yen from ATMs of some banks with credit cards or cash cards which were issued outside Japan. Public telephones can be found almost everywhere in Japan and most can be used to make domestic and international calls. Only 10 or 100 yen coins can be used but all telephones take pre-paid telephone cards ? purchase in convenience stores for 500 or 1000 yen.If you use a calling card when you make an international call, it can reduce your calling rate.